There is a concern about owning a benami property that suggests that you could lose such a property if you have one. But just what is a benami property to begin with? This term simply suggests that it is a property that has not been registered in anyone’s name. However, there is much more to a property than this. It is a property that could get you in legitimate trouble depending on how you handle it. Such a property is illegal to have in accordance with Indian law. You may be at risk of losing money and possibly being in real legal trouble if you have such a property. This trouble could especially entail being at risk of imprisonment depending on how the property is handled. You must watch for how you are handling your property if you are going to hold one. A benami property is a unique concept. This is where you are paying the overall consideration value of your property but it is being purchased in someone else’s name. You are paying the price for that property but someone else is actually the owner of that property. The term comes from the Persian for “without a name.” This means that the party that is to benefit from the property is not the person in whose name the property was purchased by. Simply put, this is a property that is held by someone or has been transferred to another person with a separate party having paid for the value of that property. It could also be a property that was purchased under a fictitious name. In such a case, the owner of the property will deny any knowledge of a transaction that has been made. This could include a denial of the ownership of the property in the first place. 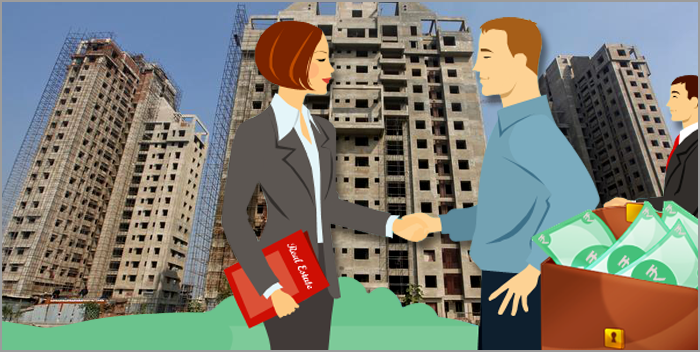 A benami property can also be one where the person who made a payment for the property cannot be traced for any reason. The practice of having a benami property had been legal for a while. However, the Benami Transactions Bill was passed in 2015 as a means of prohibiting the sale and transaction of such properties. This means that a property that is interpreted as being a benami home could be revoked from your possession. This is an addition to a prior 1988 law that restricts the use of benami properties. This comes as there have been concerns about black money in India. Many forms of black money come from such properties. As a result, the Indian government is putting in a strong effort to control how such properties might be sold. With the concern of corruption and the threat of terror being so prominent in India, benami properties have essentially been outlawed. This comes as such properties could be legitimate threats in terms of the legal actions involved. This is a real problem that may be substantial and has to be kept under control with people looking to avoid having such properties in any situation. Any property that meets the parameters listed earlier here could be interpreted as a benami property. This means that it is illegal and has to be forfeited. Still, some exclusions have been made as a means of distinguishing what is and is not such a property. A property that is purchased in the name of a daughter who is not married or in the name of one’s wife is not seen as a benami property. A property that has been transferred with a contract that has only been partially executed is not seen as a benami property. This is in accordance with the 1882 Transfer of Property Act. A General Power of Attorney, or GPA, transaction may not be seen as a benami property. This occurs in the event that a registered contact is involved and the stamp duty for that property has been paid off. A joint ownership property is not a benami property either. This occurs when a joint account is used for funding the payments on the home. This can entail paying with the support of siblings or children among others. This works provided that there is clear knowledge of where the funds are coming from. A property may not be interpreted as a benami property for a HUF or Hindu Undivided Family. To keep this from being listed as a benami property, the head of the HUF will have to buy a property with the intention of benefitting all trustees involved. To make this work, the money should be easy for authorities to trace to a clearly known source. Also, the head of the home should be acting in a responsible manner in terms of paying for the expenses relating to that property. The source of the income should be listed in a proper statement like an IDS. This is to show that you understand where the income for your property is from and that you are not putting any legal systems or other key considerations at risk. Your property may not be seen as a benami property if you declare it under an Income Declaration Scheme or IDS. You will have to declare this based on the property you hold. You should declare this under the 2016 version of the IDS to keep this from being seen as a benami property. This is used to be more transparent in terms of what you own. You have to list this information to show that you understand where your money for a property is coming from. This is especially to keep what you have from being deemed as illegal. By being open on the property income through your IDS, you will keep from being at risk of suspicion for having black money. The process used by the legal system for determining if a property is a benami property is rather complicated. With many parameters have already been listed here in terms of what is such a property and what may be exempt in certain conditions, it is important to understand the key consideration. The key is that the beneficiary of the property must be different from the owner. For instance, one party may be the owner of that property but is not aware of the ownership involved. Therefore, that party is seen as an owner or benamidar, a person who pays for a benami property. Meanwhile, the other party is not the owner but is going to enjoy the benefits of that property. That person is the beneficiary. This is a sensible process used for determining what can be seen as a benami property. However, there are several important points to look into. Much of this involves the funding and the relationship between the people involved in the transaction as listed in the next section. There are several crucial aspects for reviewing a benami property that must be used. Much of this is done through the courts as various representatives are responsible for looking into a property to see what issues might be prevalent in any case. A proper authority will have to look at the source of the funds that were used in the purchase of the property in question. This is to get a clear look at how the purchase was handled and if the funds can actually be traced. A property could be a benami property if it is difficult for the funds to actually be traced. A property that has been purchased in the name of someone who is not married also has to be reviewed. The rationale for the purchase will have to be inspected. The person responsible for holding the documents for a property should be reviewed. Also, authorities will have to see if a person who owns the property is getting any income off of it and if that income has been filed under one’s income tax returns. Details on who is actually occupying the property must be reviewed. This includes a look at who is responsible for holding the property among other key points. The key is to see how a person is using a property and how the money is moving. The transaction must be clear and transparent. This is especially important as a benami property could be one that is being used to hide one’s income or possibly a black money transaction. However, anything that is being operated in a legal and sensible way is not to be seen as a benami property. Since a benami property is deemed to be illegal according to the Indian government, it is important for the law to crack down and find any property that is operating in such a manner. An appropriate investigation is required to see what is happening with the property in question. The original initiating officer must work with a proper authority and administrator to review such a property. A separate adjudicating authority must also help with reviewing the property in question. These parties will have to review how the benami property is being handled. They may notice a variety of activities that can trigger different functions. One such instance comes from how legal authorities may notice that a property transaction is being made with a Permanent Account Number or PAN. A PAN is needed only when a transaction is worth at least Rs. 10 lakhs. The PAN must be listed if the transaction in question is that high in value. A person who does not list the PAN for such a high-value transaction will immediately be in suspicion. This will lead to the law aiming to see if a property is a benami property. Also, the Tax Deducted at Source or TDS will have to be analyzed. This includes seeing if that TDS has actually been deducted. The officer responsible for investigating a property in question has to see if the TDS has actually been deducted. No real evidence has to be found to actually find a property as one that is a benami property. A full investigation can then take place. You could lose your benami property if an investigation is held to determine how it is being handled. The investigation will entail five critical steps. To start, the legal authorities involved in the investigation will send a notice to the person who owns the property but is not taking in its benefits. Second, the officer involved in the case may keep the property for up to 90 days. A proper form of permission is needed from Approving Authority for this to work. After that period ends, the officer may choose to hold onto the property for a longer period of time. The Adjudicating Authority can then take in the case if needed. Enough evidence has to be provided to ensure that the transaction can be handled properly. The appropriate authorities can then tag the property as a benami property if enough evidence has been found to suggest that it is one. An administrator will then have to take in the case. This is for cases where an order is passed to confiscate the property in question. Another individual could challenge the Adjudicating Authority over the ruling. This would be the last step in the investigation if it gets to this point. An appeal must be filed with an Appellate Tribunal. The process can last for months on end. There is a potential that you may be held by authorities or forced to live somewhere else during the process. This makes it all the more important for you to watch for how the transaction might be used. The penalties that may be imposed onto the benamidar, or the owner of a property who is not aware of such an ownership, can be substantial. These penalties have been imposed as a means of encouraging people to avoid engaging in such actions. The property in general will be confiscated. You could literally lose your property as it will be seized by the government and potentially impounded. The benamidar could also be sent to prison. A prison term may last from one to seven years. In addition, a fine of about 25 percent of the value of the property may be issued. This fine will vary in value based on the fair market value associated with the property. This fair market value refers to the total value of the property that a buyer would pay for it without any added pressure from a seller. It is especially important for the benamidar to cooperate with authorities. A person who does not do so and provides false details on the property can be sentenced to six months to five years in jail. This is paired with an added 10 percent fine in terms of the value of the property. All guilty parties must be sent to special trials in separate courts. This is in accordance with the 2015 Benami Transactions Prohibition Bill. You should watch carefully for how you handle a benami property. You will have to make sure you disclose all information relating to your property so you will not be at risk of further harm. You must declare all registered property that you hold. Any income that you earn must also be declared. This is to help you get the respect you desire from the authorities as they will notice that you are a responsible home owner. The Income Declaration Scheme that you file must also be fully transparent. You will have to be detailed while listing information on all your income sources through this document. You may be at suspicion of having black money if you are not willing to comply with this particular document. Simple transparency is a necessity when you’re looking to get the most out of your property. You have to be direct and clear when it comes to getting your property handled the right way. This is an important consideration but it has to be used properly even if it means being far too complicated or otherwise hard to follow. It is important for you to be direct and straightforward when it comes to reporting on your properties and the income you get for paying them off. Benami properties are dangerous and you can lose such a property if you run with the standards used for determining if a property is a benami one. The risks that come with having such a property are especially significant. You will have to report on anything you have so it will be easier for you to avoid problems relating to such a property. Be sure to watch for how you are taking care of the transactions for your property and that the ownership considerations for it are being handled in a careful manner.